The illustrated Boker Knife is the Tree Brand Classic Boker Folding Hunter Knife that features 4" clip and skinning blades made of carbon steel. 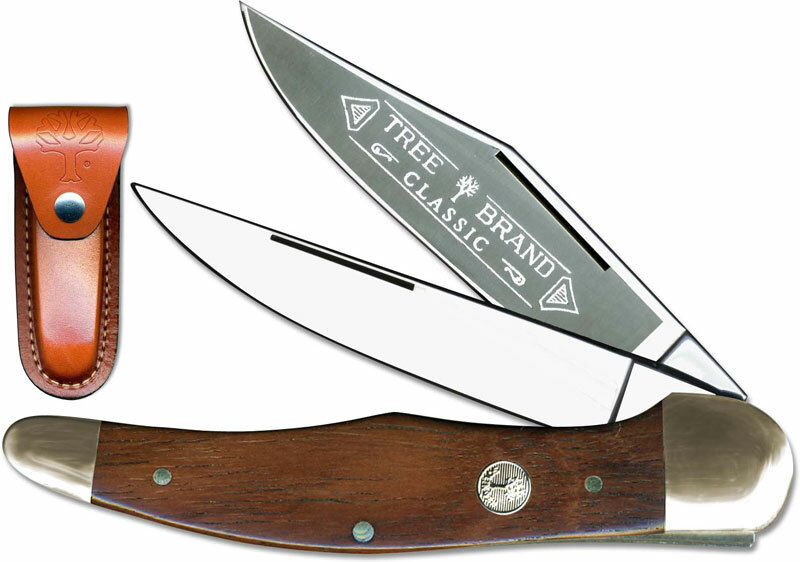 The contoured Rosewood handle of this Tree Brand Boker knife, 5 1/4" closed, comes with brass liners and nickel silver bolsters. A genuine leather belt sheath is included with this Boker knife. All Rosewood handles vary in color and striation, which is part of the uniqueness of natural materials. Extremely satisfied with Knives Plus. Good price, fast shipping. I will return!